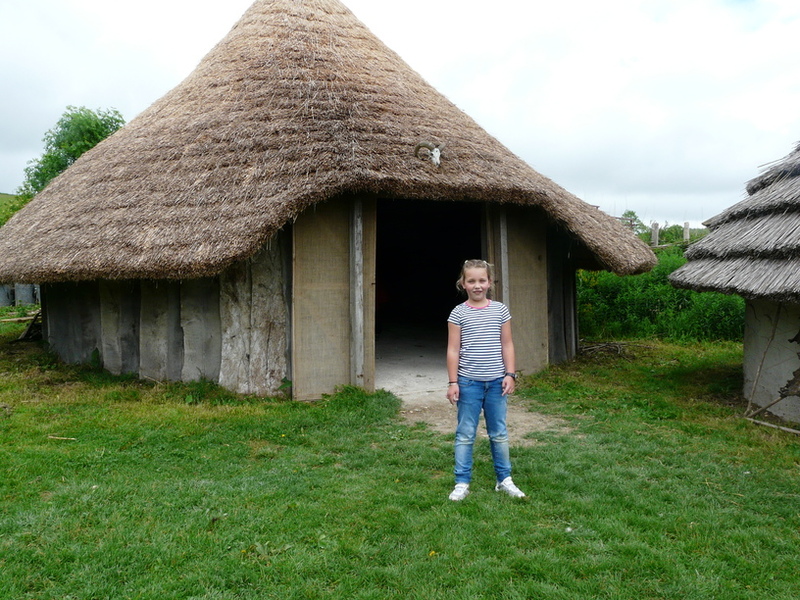 What better way to round off our study of the Celts than to visit a “real” (reconstructed) Celtic village? 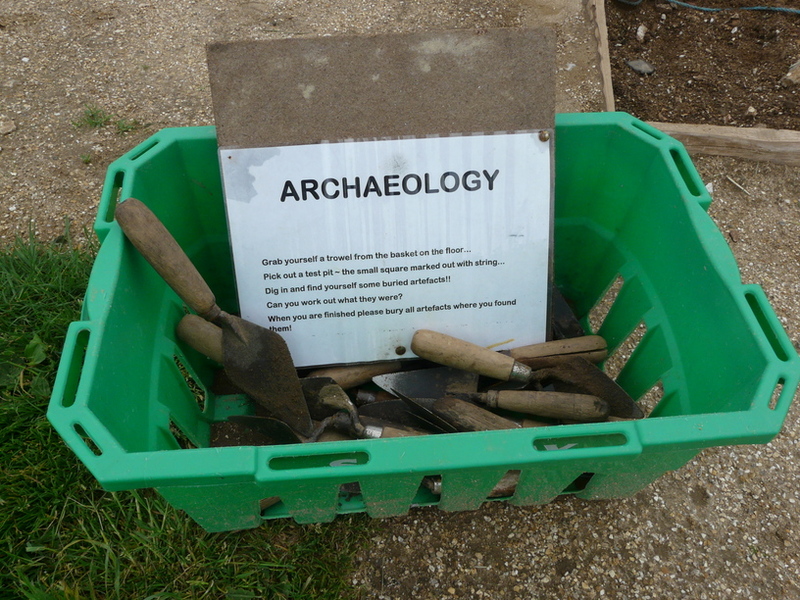 I love the way learning leads the way to new experiences – I didn’t even know Butser Ancient Celtic Farm existed until recently, and there it was just 40 minutes’ drive away, waiting for us to spend a very pleasant Sunday exploring. 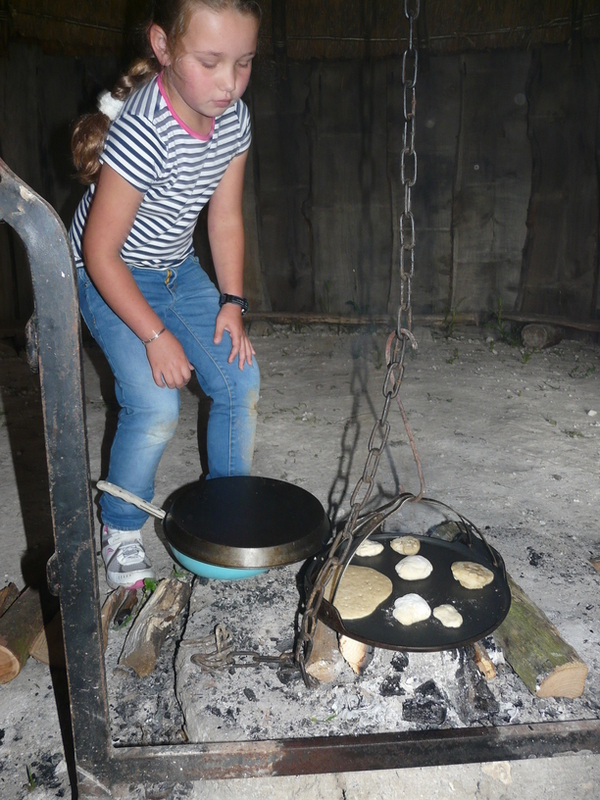 The Farm was having a Celtic weekend when we visited, which meant there were lots of hands-on activities to try. 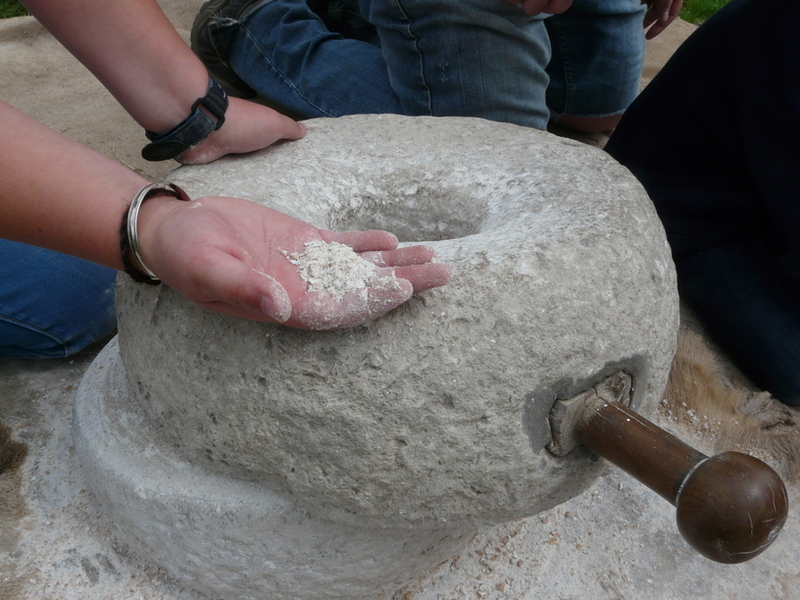 C ground grain into flour (rather coarse flour – apparently Celts’ teeth were very worn down!). 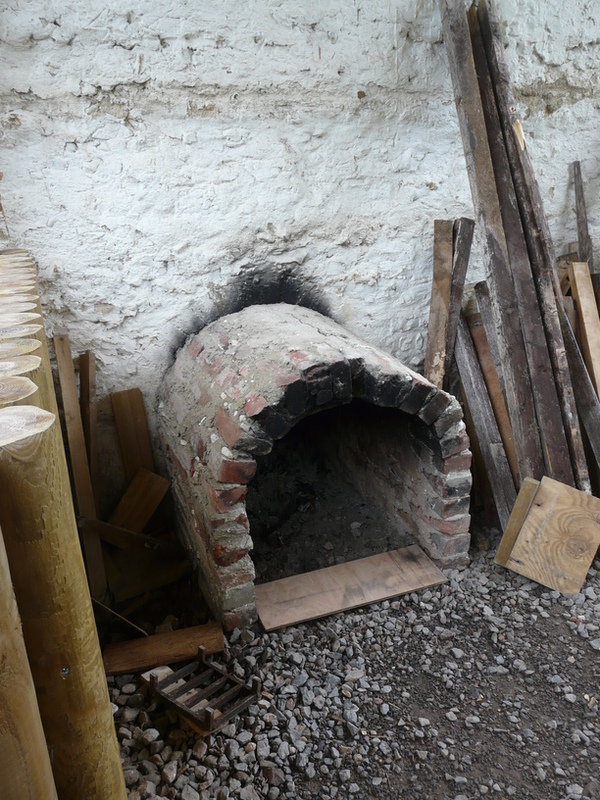 She mixed flour, yeast, oats and water to make a kind of bread which she baked on a Celtic stove. 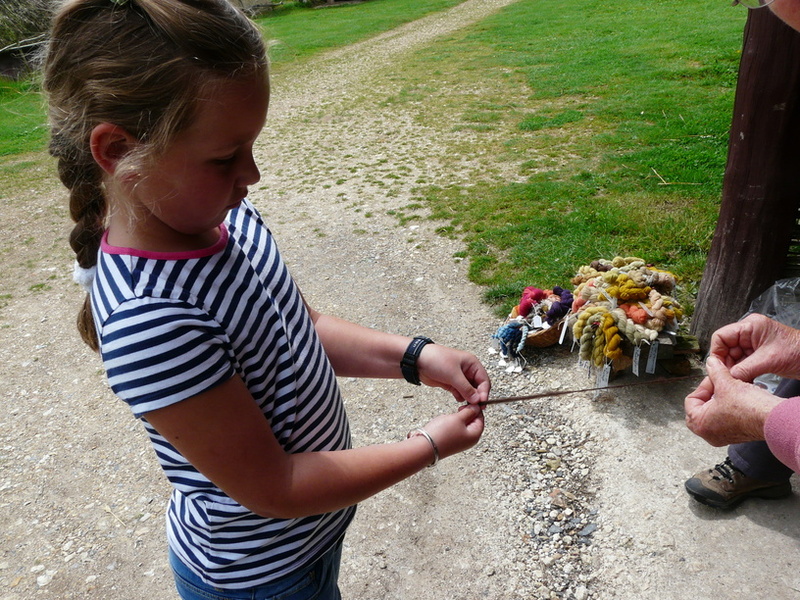 She also made yarn out of sheep’s wool. 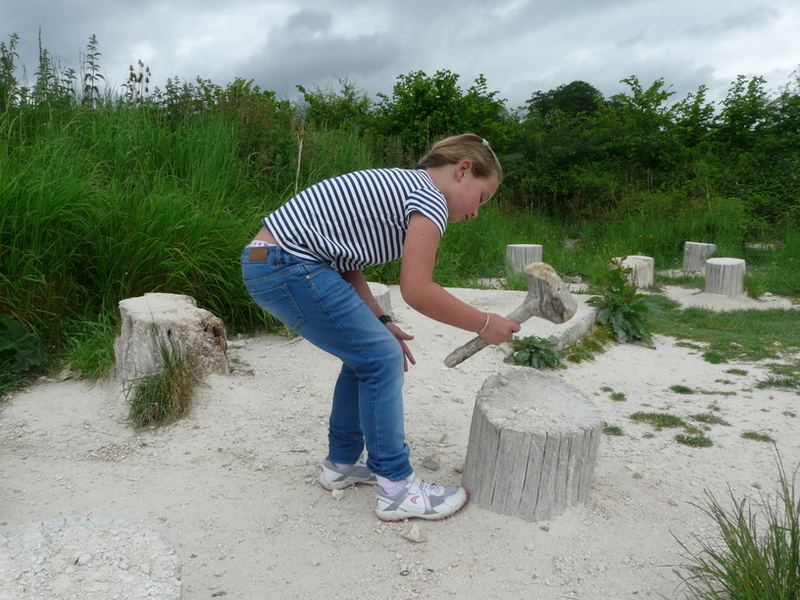 We crushed chalk, used for building roundhouses and levelling their floors. 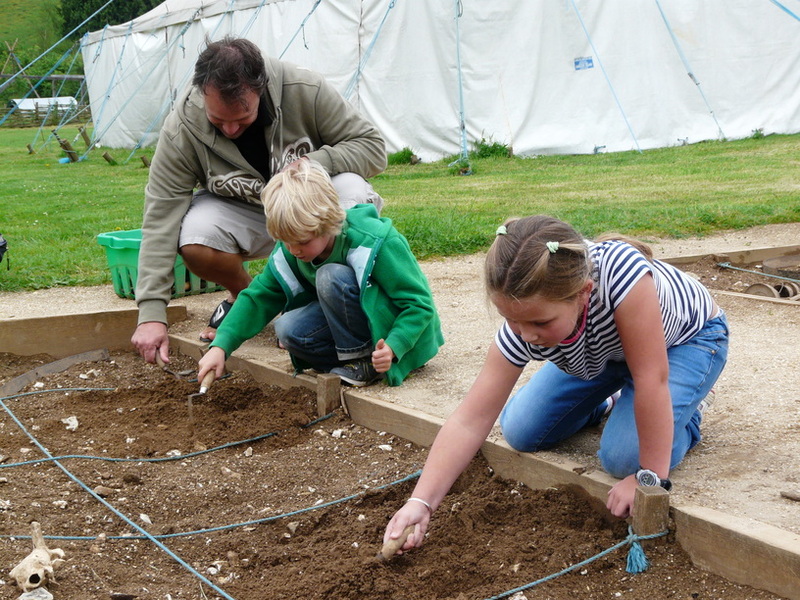 There was even a mock archaeological “dig”! 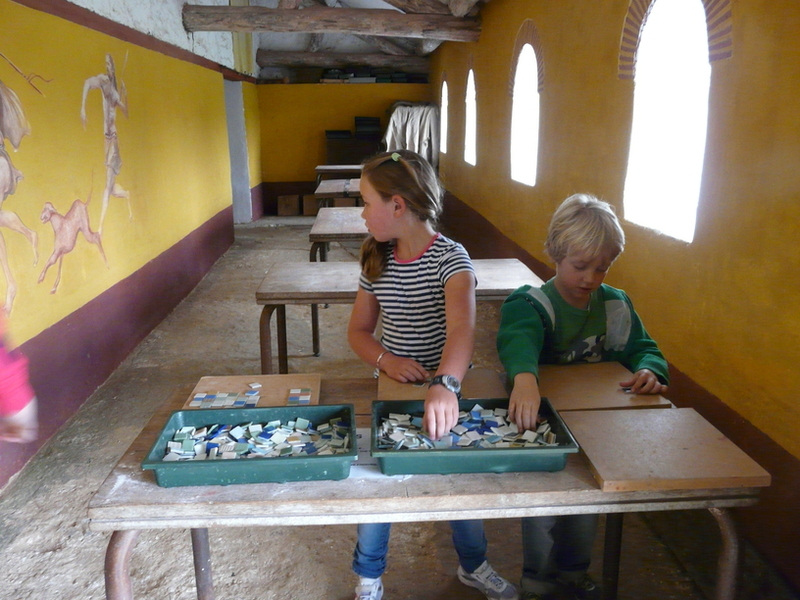 There was an opportunity to make mosaics in the Roman house. 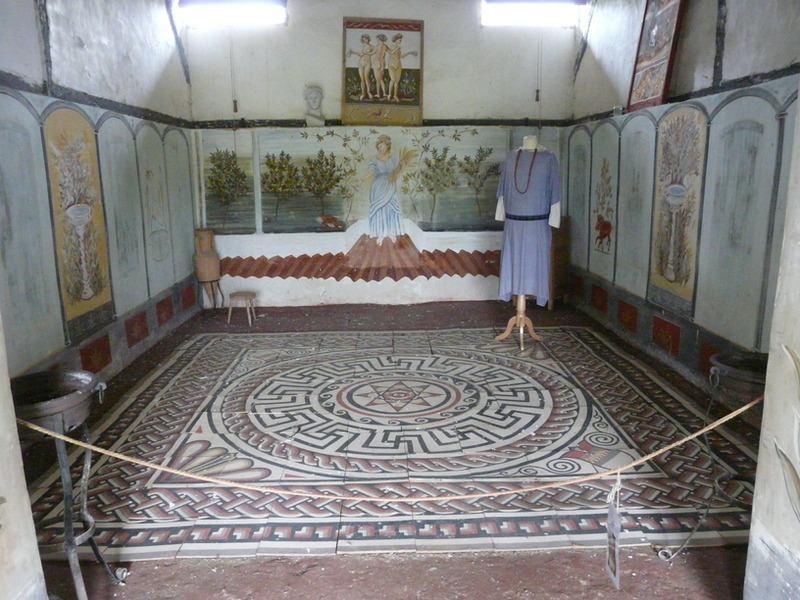 While C was baking, spinning and grinding, J was hunting around the village for the answers to a scavenger-hunt-style quiz on Celtic kings and Roman emperors. I just posted on exactly the same thing!! Your photo’s are far superior to mine though! I just posted on exactly the same visit!! Your photo’s are far superior to mine though!